Four sizes of houseboat hulls converted from TS3. This year I'm carrying on my tradition of posting holiday gifts after the holiday is actually over, but well in time for Spooky Day 2014! shastakiss posted this lovely birthday gift for me which everyone else has probably seen by now, and I wanted to make something to thank her. So what does Shasta like, I asked myself. Cute things? 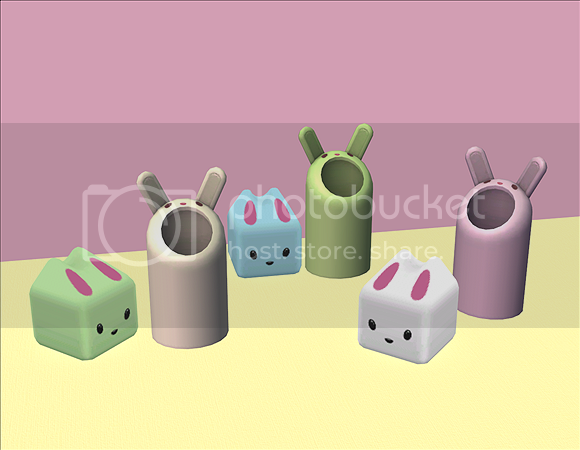 And what's cuter than a bunny trash bin? I use keoni's Franny Bunny Lights a lot but you can never have too many of them, so this is a very simple night-light deco version of them in their original size. HMMM. It looks like all the images I have stored on photobucket will be out of commission until the 16th. This is a problem since I'm planning on uploading some stuff before then. Does anyone who's familiar with tumblr know how image uploading works on that site? Is it possible to host pictures on tumblr and then link to them on LJ without the internet imploding and angry people knocking on my door? In any case I'll start using my tumblr now. 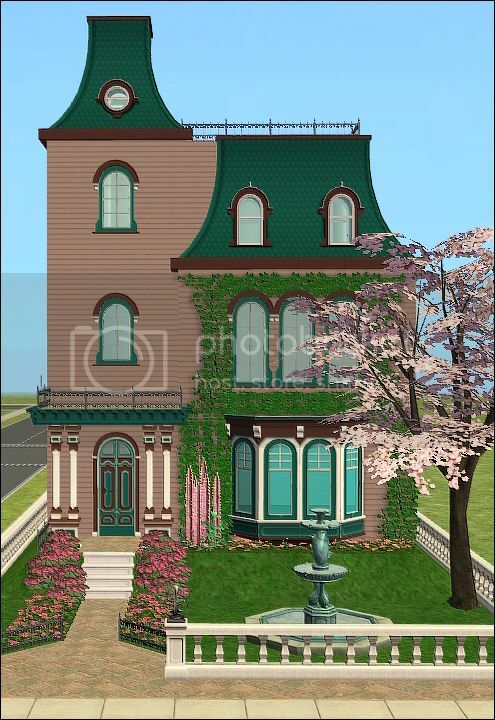 I'll post downloads and WIPs and other sims stuff and it'll allow me to see what everyone else is doing in their games since everything seems to be on tumblr these days. Please link me your simblrs and I'll follow them! untidyfan and I finally finished our tradeoff, and it was so worth the wait! She made me *so* many recolours of the 2nd empire build set, and even recoloured the roof pieces to go with them! It's just a huge, beautiful, 100% useful collection. 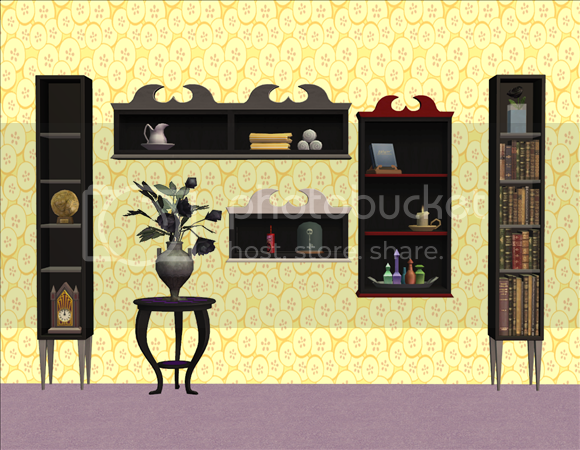 In return I made a BV souvenier rack and an AL shelf out of the bookcase from the Teen Style gothic set, and an empty version of the technophobe bookcase. Big thanks to amovitamsim for letting me use her texture. This download is split into two parts. 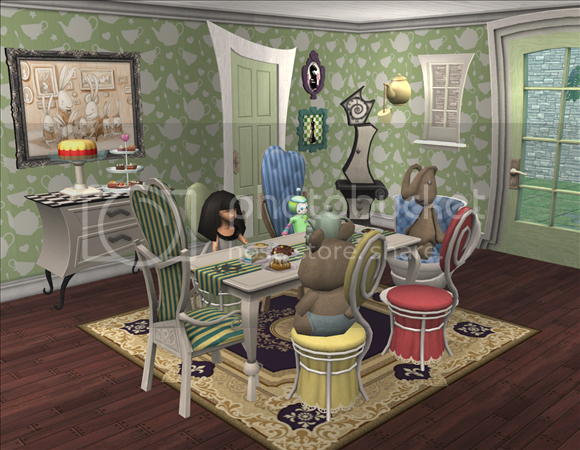 You can find the wallpapers, paintings, bedding and various other recolours at Shasta's journal. 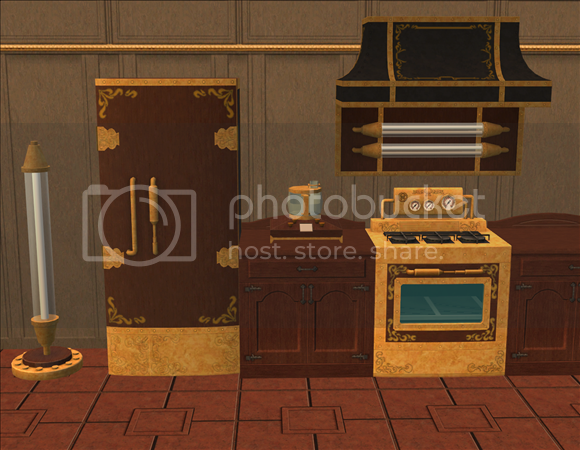 Objects mostly by me and textures by shastakiss and myself. An abundance of creepy plants, pots, mushrooms, and planters. A big thanks goes to Honeywell for her generous policy. Nine rabbitholes from Aurora Skies. I fell in love with this town as soon as I saw it, it's just so homey and Sweden-y. potted babies, what is this even? 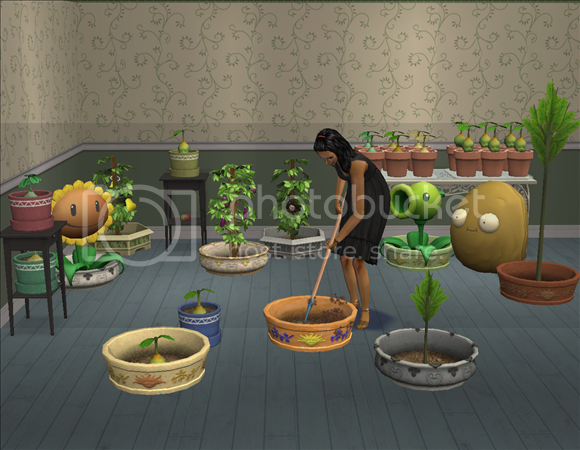 Okay, so the plantsims in TS3 are pretty weird. Apparently they can turn themselves into a stick with leaves which is funny to me because I used to play WoW. That skill must come in handy for PIs. SO I'm converting these things and then I run across the plant baby. How do you guys want this thing? (If you want it at all - it is super creepy.) In a pot? Halfway stuck in the ground? Randomly lying on a table? I'm open to suggestions/requests.